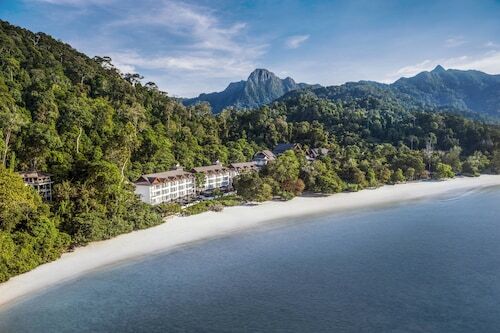 The Danna Langkawi lies in a secluded bay amid rain-forested hills, just a 15-minute drive from the airport and a 2-minute walk from the restaurants by Perdana Quay. Guests can stroll along the white-sand beach and ride a cable car up Machinchang Mountain for spectacular views from the Sky Bridge. 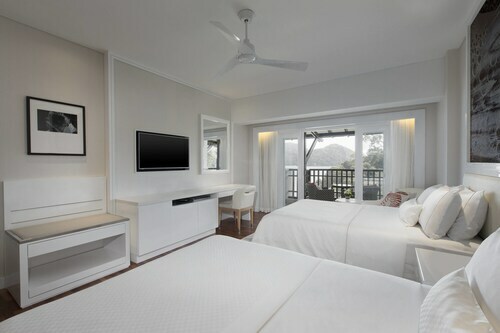 Situated in Langkawi, this luxury resort is within 1 mi (2 km) of Datai Golf Club and Datai Bay. Pasir Tengkorak Beach and Air Terjun Temurun Waterfall are also within 6 mi (10 km). 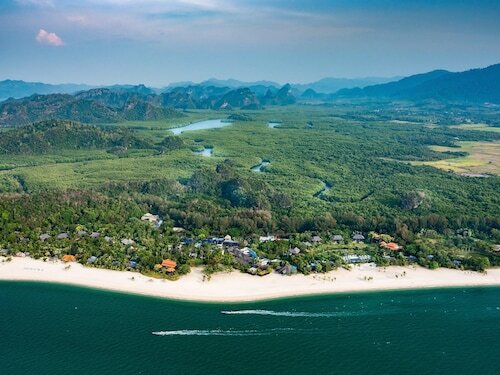 Situated on the island of Langkawi off the western coast of Malaysia, this resort lies on Pantai Cenang's white sand. Shops and restaurants are nearby, and Langkawi Airport is a 10-minute drive. Nestled on the beach, this Langkawi resort is within 2 mi (3 km) of Tengah Beach, Pantai Cenang Beach, and Underwater World. Cenang Mall is 1.5 mi (2.4 km) away. Situated in the entertainment district, this resort is within a 15-minute walk of Underwater World, Pantai Cenang Beach, and Cenang Mall. Tengah Beach is 1.1 mi (1.7 km) away. 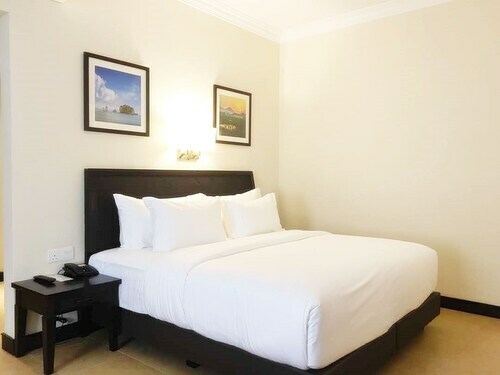 Located in Langkawi, this beachfront resort is in a national park and within 3 mi (5 km) of Tanjung Rhu Beach, Black Sand Beach, and Hot Springs Village. Craft Cultural Complex is 2.9 mi (4.7 km) away. 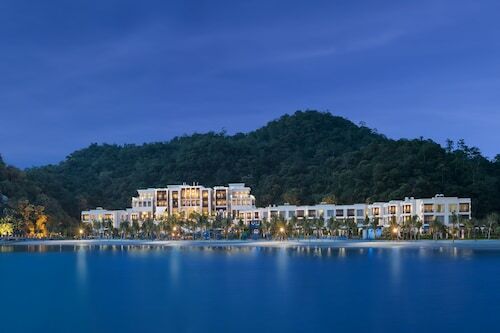 Situated in Langkawi, this luxury resort is 0.1 mi (0.1 km) from Datai Bay and 1.9 mi (3.1 km) from Datai Golf Club. Pasir Tengkorak Beach and Air Terjun Temurun Waterfall are also within 6 mi (10 km). Located in Rebak Island, this beachfront resort is on the boardwalk and within 1 mi (2 km) of Rice Museum Langkawi, Pantai Cenang Beach, and Cenang Mall. Underwater World and Tengah Beach are also within 3 mi (5 km). 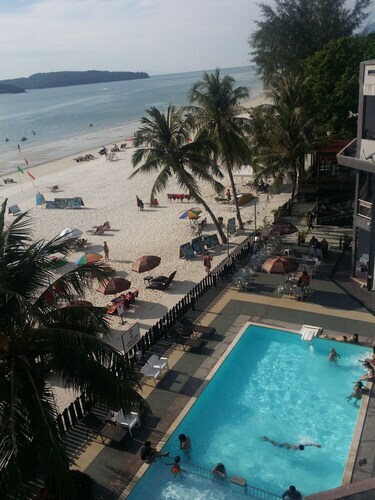 Nestled on the beach, this Langkawi resort is just steps from Cenang Mall and Pantai Cenang Beach. Underwater World and Tengah Beach are also within 2 mi (3 km). You’re a modern person, with modern sensibilities. You follow all the travel bloggers on social media and you live for those stunning photos of perfectly plated meals and pool cabanas with all the extras. You’ve read about these magical places where your every whim is taken care of, and you’ve probably seen a picture-perfect postcard or two and thought, “That place can’t be real.” Well, traveller, we’re here to tell you that it is real. 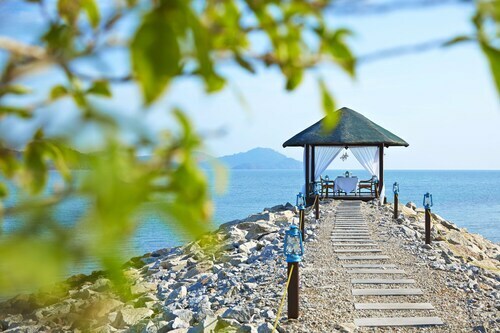 And you can have it all for yourself, at a Langkawi hotel resort. Dreaming of lounging poolside, with drinks appearing next to you at the snap of a finger? You’re probably imagining all-inclusive resorts, where you’ll find everything your heart desires. If you simply must have that private cabana, along with premium amenities and impeccable service, luxury resorts sound like your cup of tea. Whatever your travel style, Langkawi resort hotels can match it. That is, unless you’re not a fan of impeccable service, gorgeous surroundings, and getaways that are utterly carefree. How carefree are we talking? When you stay in the best holiday resorts in Langkawi, guest service is the name of the game, and the staff takes that game as seriously as Queensland takes their footy. Look out your window right now. What do you see? 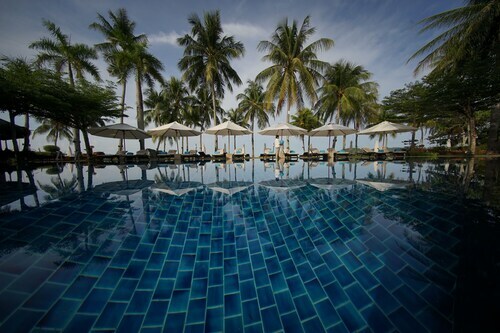 If it’s not a pool sparkling in the sunshine, you need to stop what you’re doing and browse Wotif’s selection of top-notch holiday resorts in Langkawi. Just don’t let your co-workers see—they’re sure to be jealous, and you want to wait until you come back with pictures to really make them turn green.